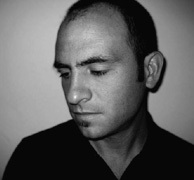 Saul Stokes makes Electronic Music that sounds like it is coming straight out of the wall outlet. Over the years he has become known for his concerts of sonic improvisation and albums of complex atmospheric energy. His work has always been, and continues to be, based on crafting original sonic elements and forms into beautiful realizations of texture and consonance. More recently Stokes has been embracing his internal contrasts. On Sleek Nucleus (54'42") he produces music that registers in both the body and in the mind. 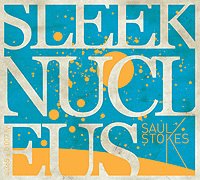 Sleek Nucleus is front-loaded with catchy, engaging tracks - but although this CD's songs may be easier to grasp, this accessibility in no way represents a scaling back of ambition. While overlapping rhythms push Sleek Nucleus to the dance floor, for all its heat and beats the most interesting elements transpire quietly. His one-of-a-kind aural ideals bring a unique aesthetic to the field. This album is full of infectious rhythms, kinetic throbbing and subliminal pulse, but the thoughtful listener will also find grainy tones, chirping modulations and fascinating timbres amidst Stokes' melodic sound designs. Never succumbing to formula, Stokes uses ideas and imagination as maps. He is the musician who speaks most directly to our contemporary condition, but has always been too far out there and unclassifiable to gain the following he deserves. Not one of his works are less than perfect.